There are numerous studies on the power of color in how we choose our food. Our sense of sight, taste, and smell are of primal importance in protecting our food intake. When it comes to marketing, yellow and red are considered safe choices to attract consumers. They grab our attention and stimulate our appetites. The fast food industry has definitely capitalized on this combination as you can see in the branding of top burger joints. When it comes to the natural colors of food, there is every color of the rainbow and we are encouraged to select a diet that is rich in color in order to guarantee a healthy balance. Our senses are all connected so it stands to reason that we associate colors with smell and taste. 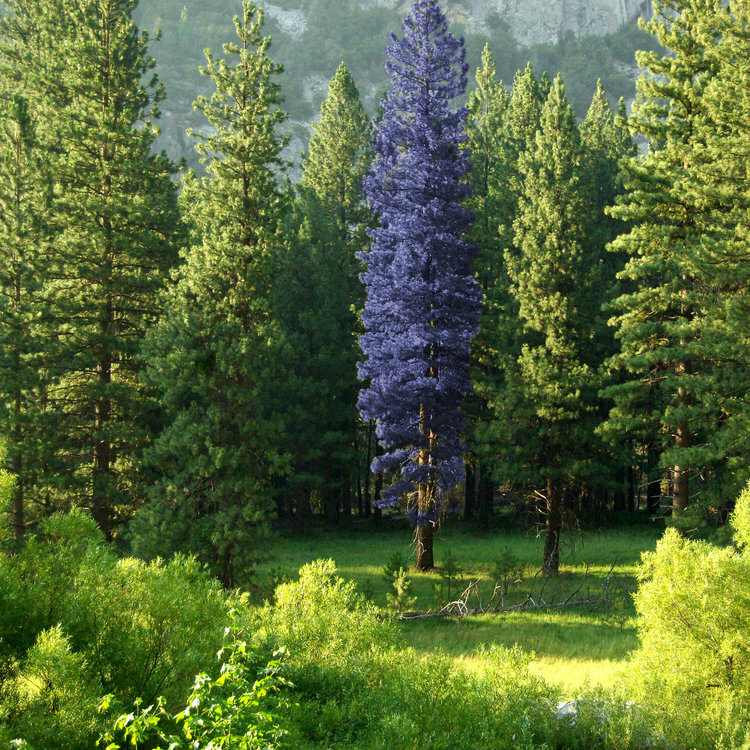 There are few foods that are naturally a bright purple and even less that are blue. 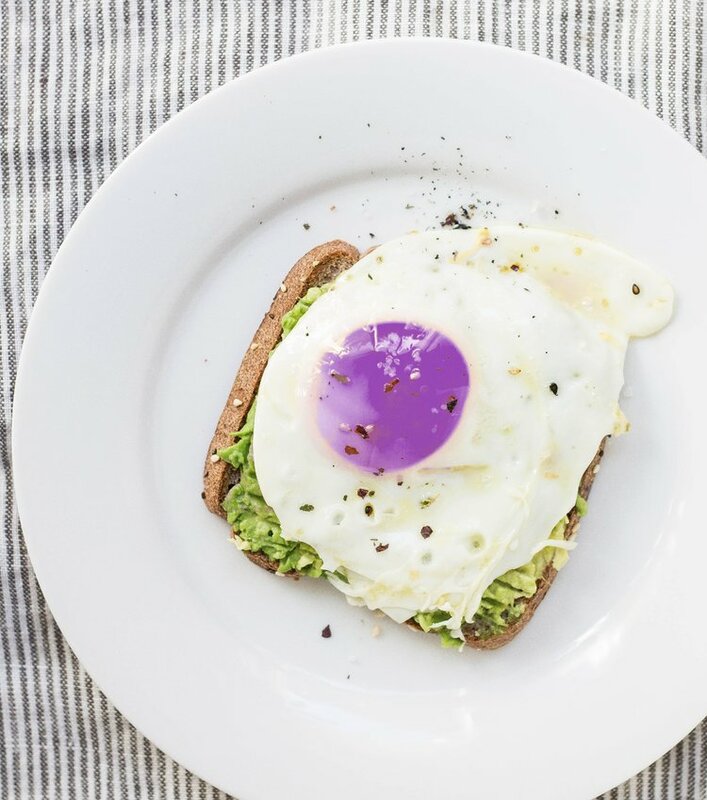 When we flip expectations of certain foods such as the purple egg yolk or the company that offered their ketchup in blue instead of red, there is bound to be a spectrum of reactions. For some it may be fun to experiment while others may find it so disgusting, they wouldn’t even venture to try it. In a study by marketer, Wheatley, a dinner of steak, fries, and peas were served in a very dimly lit room. As the lights were turned up during the meal, the guests realized that the steak was dyed blue, the fries were green, and the peas were bright red. Quite the shock to the system and reportedly some diners felt physically ill.
We are all pretty observant and while we may not think consciously about the color of everyday things we do notice if something is out of whack. 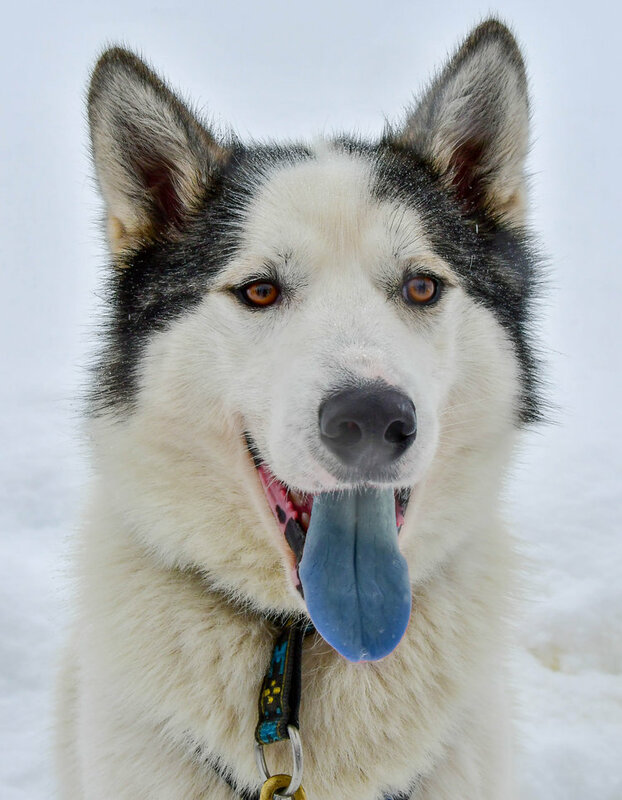 A dog with a blue tongue? There is a breed of dogs, Chows Chows, that have tongues that look somewhat blue-black but a bright blue would be quite unexpected. That is, unless Fido dipped into your blue slushy or kid’s candy. Skies are blue and so is water. But what if they aren’t? Obviously, we are accustomed to seeing the beautiful shades of red, orange, yellow and violet as we watch the sun rise and set in the sky. But green would be more alarming. 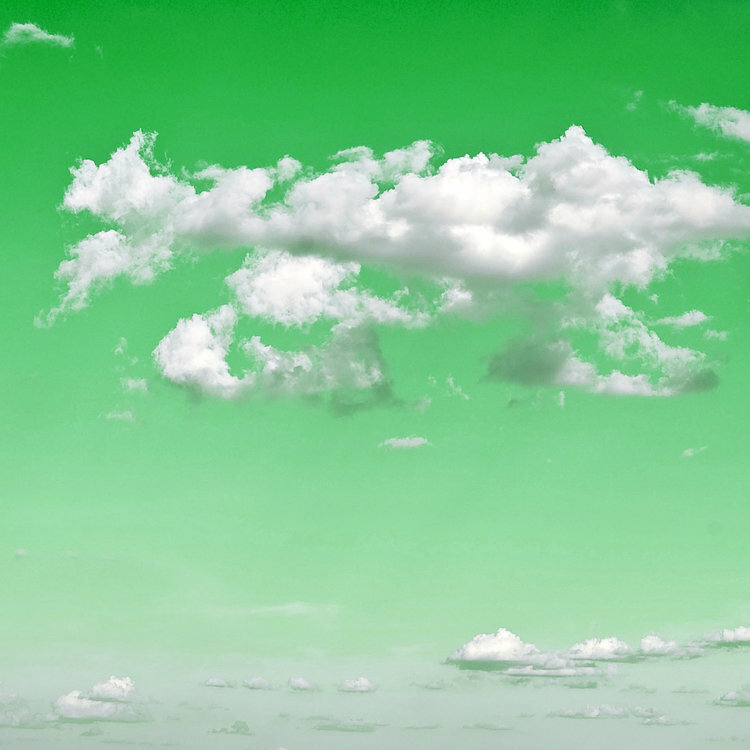 It is said that the sky can look green before a tornado but nothing about this bright green in the image above could be natural. When it come to the water of lakes, oceans, etc. Lake Hillier in Western Australia is stunning example of deviation. It is a lovely shade of pink that is thought to be due to the presence of a particular algae or a bacterial reaction. 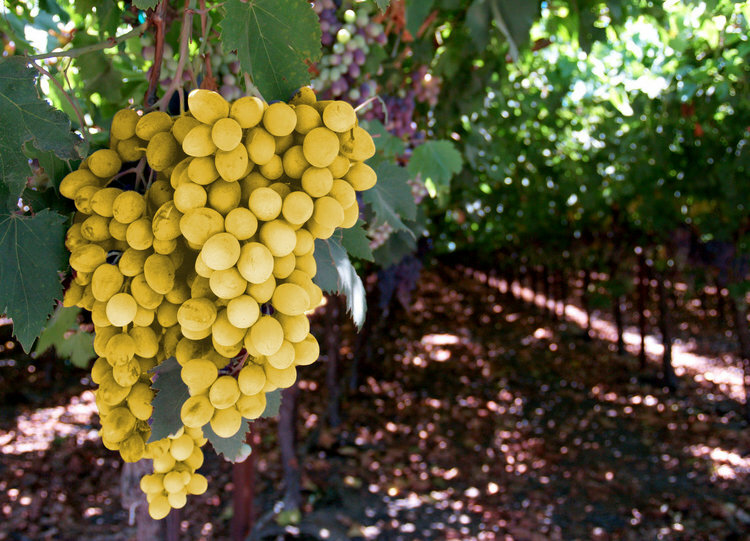 What would a yellow grape taste like? Sour right? That is my first guess but maybe yours is something else. Our color perceptions are grounded in our historical experience. Yellow to me seems unripe and therefore bitter or sour. There have been blind taste tests with wine that have brought into question whether there is as much distinction between wines’ aromas and flavors as we have been led to believe. Significantly in one test where two white wines were presented with one being dyed to look like a red wine. The tasters had a very confusing time when they had to describe the aroma of the colored wine. They used terms that would normally be used to describe a red when they had previously used white wine descriptors for the un-dyed version. In many parts of the world we experience the changing colors of leaves in autumn. The shift from greens to yellows, oranges, reds, and browns are a sight to behold. But blue leaves are much rarer in nature. “There is no true-blue pigment in plants, so plants don’t have a direct way of making a blue color…. Plants tweak, or modify, red anthocyanin pigments to make blue” notes David Lee, author of Nature’s Palette: The Science of Plant Color. 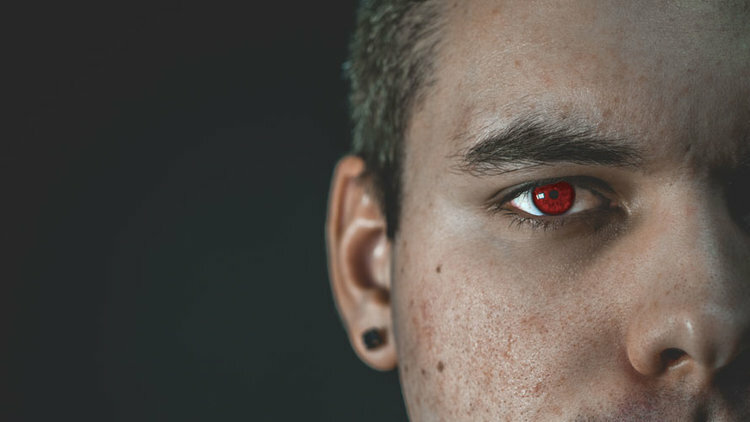 Thanks to contact lenses we can now change our eyes to be pretty much any color or even pattern that we want. Genetics are fascinating when it comes to eye color. It used to be thought that we inherited 2 genes from our parents and whether you received the dominant brown or recessive blue genes determined your eye color. We now know that the genetics are much more complex, and any combination of parent-child eye color is possible. If you want to delve deeper into how humans see color, CMG Member, Datacolor, posted an article on their blog that discusses perceptions and the many factors that can affect our view of colors.